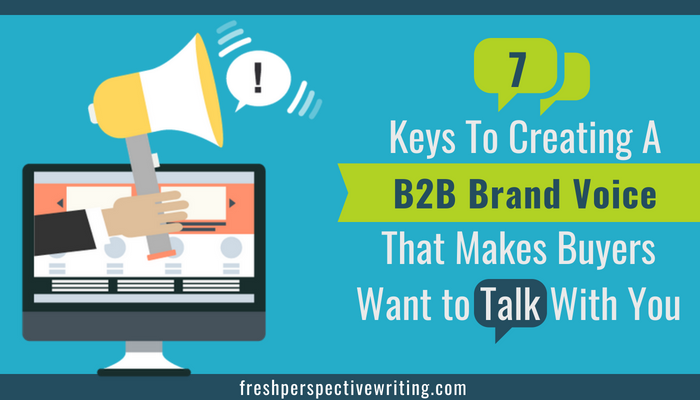 As a tech marketer, you’ve likely heard the joke that B2B stands for “boring-to-boring.” Here’s how to create a compelling brand voice that helps you avoid this trap, stand out from your competition, and engage customers. Many B2B companies sound the same. They talk about their features … not their benefits. They use corporate jargon … not language that resonates with customers. They speak to “users” … not to humans. All of this adds up to a boring, corporate voice that doesn’t differentiate you from your competitors. Your brand voice separates you from everyone else. Many B2B tech companies sound the same. They use the same buzzwords on their websites, which makes it hard for customers to see how they are different from their competitors. A unique brand voice helps you stand out from the pack and shows your audience your advantage. A consistent brand voice signals trust. If your teams use different voices when they speak with customers, it will weaken your message. Customers may hear one thing from their sales rep and another thing from your support team. Then, they won’t know whom to trust. 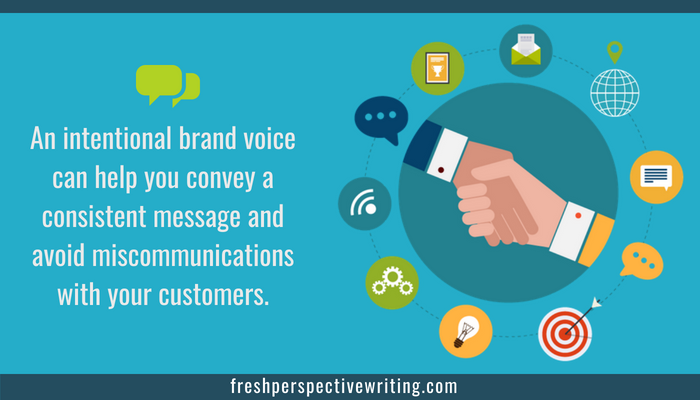 An intentional brand voice can help you convey a consistent message and avoid miscommunications with your customers. Your brand voice makes you relatable. An approachable brand voice makes customers want to be around you. When your customers feel like you “get” them, they will open your emails, check out your content, and join your community. What are their daily responsibilities? What are their top struggles? What questions do they ask during each stage of your sales cycle? Where do they find information about products or services? What type of words would they use to describe topics and products related to your brand? 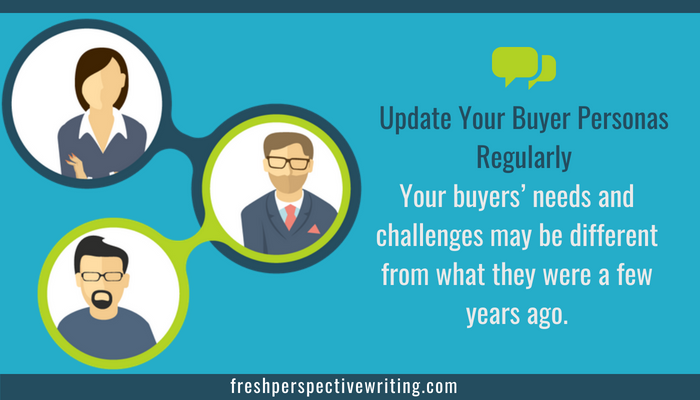 After you answer these questions, you may need to update your buyer personas. Since the tech landscape is constantly changing, your buyers’ needs and challenges may be different from what they were a few years ago. 2. Understand how your target audience perceives you. Your brand voice isn’t something that you’ll need to develop from scratch. It already exists. Your job is to amplify the voice that you already have and make it more intentional. The easiest way to do this is to ask your customers who they think you are as a brand. Their responses can clue you in on where you excel and what parts of your persona you should emphasize. What three adjectives would you use to describe our brand? What “personality” do you think your company has? What makes our brand stand out from other companies you’ve worked with in the past? You are not limited to surveying only your customers. You can expand the list to include other key stakeholders, such as your employees and partners. Your employees, especially those who work directly with your customers, have the dual advantage of understanding your brand values while also seeing your company through the eyes of your customers. They can provide unique insights about your brand voice that give you new angles to consider. 3. Understand your mission and goals as a brand. What are your company’s guiding principles? The answer to this question will help you define your brand voice. For example, if one of your primary values is transparency, you can make your content approachable and honest. In addition to aligning your vision with your brand voice, it’s also important to define how you want to present yourself as a company. What type of personality would you like to project? How would you like customers to perceive you? What type of lasting impression do you want to leave? 4. Define your brand voice. Personifying your brand can help you get clear on your voice. If your brand was a person, what type of voice would it have? Would it sound strong and confident? Laidback and knowledgeable? Offbeat and fun? Our company is experienced but not stuck in its ways. Our company is authoritative but not pushy. Our voice is conversational but not verbose. Our voice is professional but not stuffy. If you’re stuck, here’s an exercise that you can do: Look at some of your favorite brands (you don’t need to limit yourself to B2B or tech), and list the reasons why you love its voice or content. 5. Say, “No!” to boring B2B content. Boring content litters the landscape of the B2B tech industry. But how can that be? In the ever-changing tech industry, there’s always something new and exciting happening. 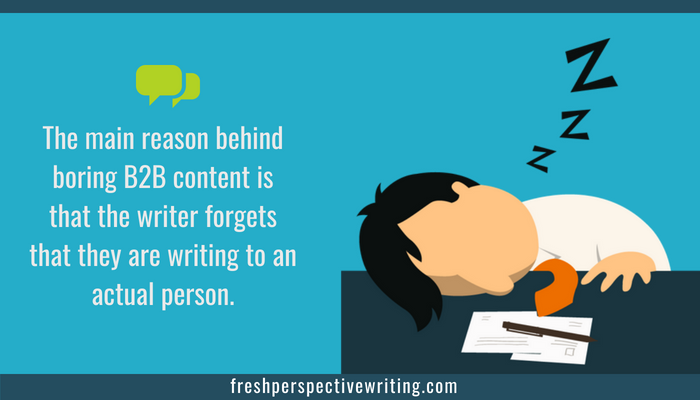 The main reason behind boring B2B content is that the writer forgets that they are writing to an actual person. While your customer may be a B2B company, your audience is filled with humans. You’re not writing to an entity, you’re writing to the humans who need to make sense of your information and decide if your solution is the right one for their company. For this reason, your content must be relevant and valuable. Likewise, your brand voice should be relatable, engaging, and helpful. Otherwise, your information can come across as dull. 6. Use language that reflects the knowledge level of your target audience. How much does your target audience know about your industry in general and your product in particular? Because you’re familiar with your product and industry, it’s easy to assume that your readers are equally informed. Then, you may load your copy with industry slang that your readers don’t understand. But at the same time, you don’t want to talk down to a sophisticated audience. So, how much should you assume that they know? The answer depends on your target audience. If you’re speaking to IT pros who are comfortable with tech jargon, you can use it in your content. However, if you’re speaking to a business audience, they might not understand all of your tech talk. In this case, you can still come across as an expert without relying on jargon. Here’s a funny, but cautionary, tale about jargon. I once interviewed two subject matter experts in a tech company. One of the experts used an acronym, and the other one thought it meant something completely different. This proves that you can’t take for granted what your audience knows. Even people who work down the hall from each other can have different definitions of the same acronym! Choose a voice that is empathetic to your audience with respect to their knowledge level. 7. Create a style guide for your brand voice. 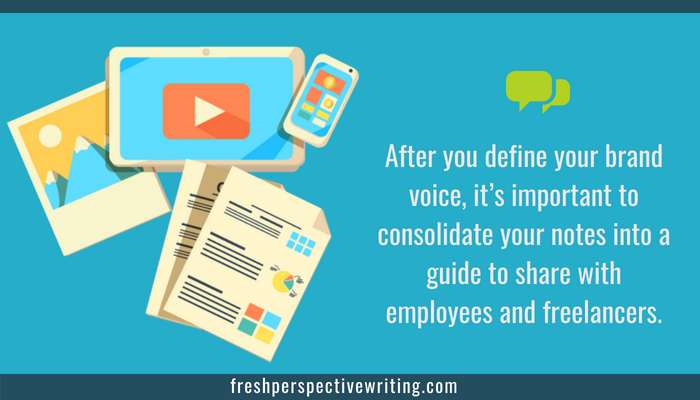 After you define your brand voice, it’s important to consolidate your notes into a guide. Share your brand voice guide with all of your internal teams that interact with customers, such as sales, marketing, and customer support. You should also give the guide to anyone who creates content for you, such as freelance copywriters and graphic designers. A style guide will help you keep your messages consistent. A brand voice is a living part of your company. It will evolve over time. As your industry and your customers change, you must ensure that your voice remains relevant. Evaluate your brand voice every year to ensure that it still resonates with your target audience.